Listen, I'm one of those people who always takes photos of my food — I'm not ashamed! 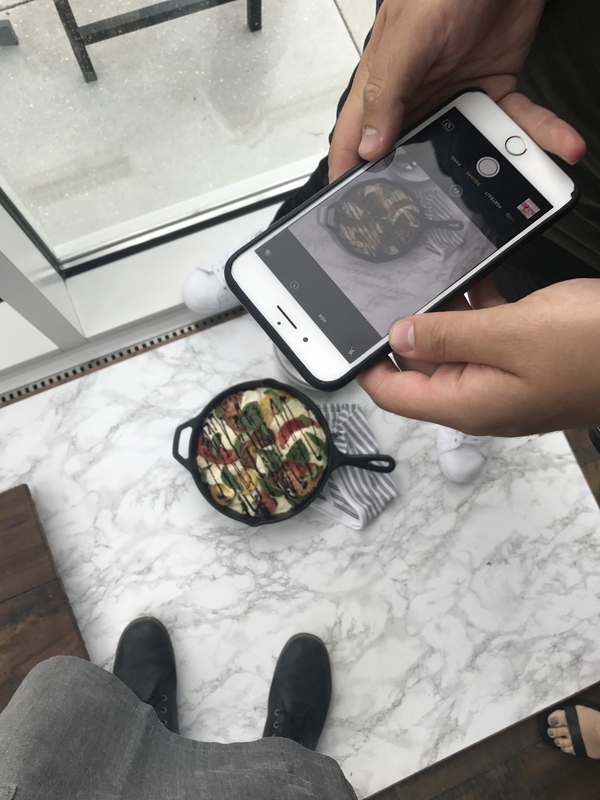 And over the years, I've picked up a bunch of clever tricks that have made my iPhone photos look way better (because my first few food photos were definitely rough). 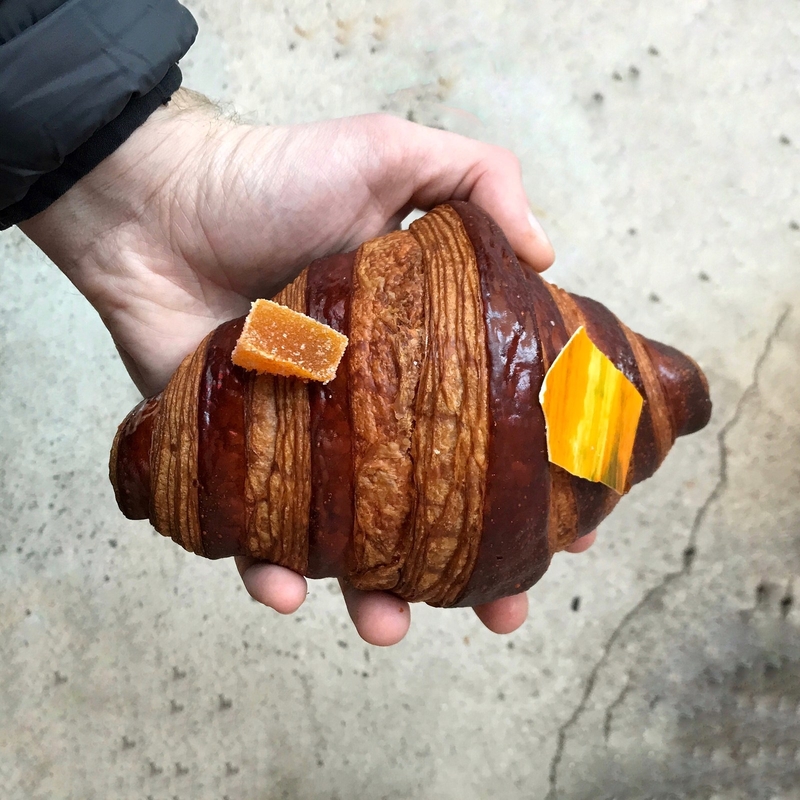 Artificial lighting can make your food look ugly, so it's best to shoot in natural light. The easiest way to do this is to shoot next to a window. Just set your food on a table next to it and shut off any lights in the room (because two different light sources can make a photo look strange). If you're making a reservation at a restaurant, just ask for a table next to a window — it'll make your photos turn out 100x better. 2. But don't shoot in direct sunlight either (unless you're going for that extreme shadow look). Shooting in direct sunlight (like outside on a sunny day) can make your food look harsh and give it extreme shadows. 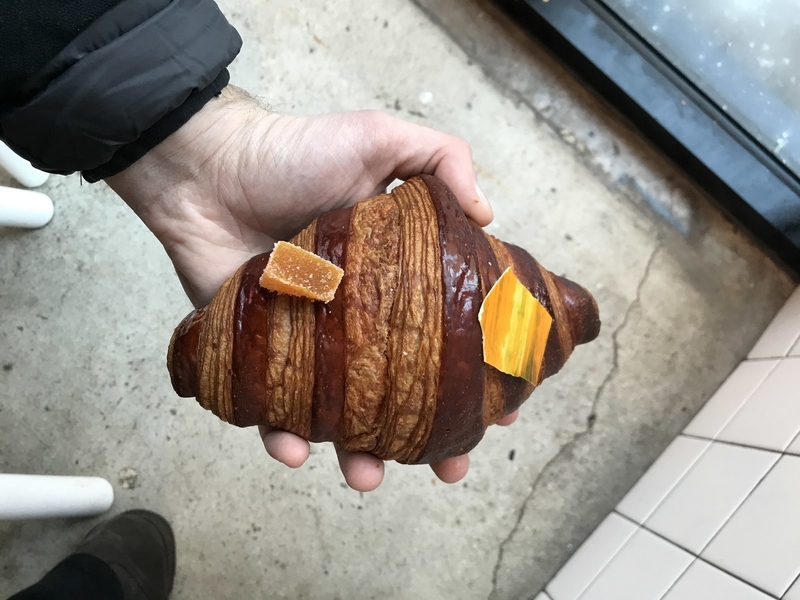 For some photos, this can be cool and add a modern feel — but for most food photos it can look too intense. To work around this, shoot in diffused light — such as light shining through a window, or light that has passed through a thin curtain. 3. But if you do shoot in direct sunlight, turn on your HDR setting to help balance it. You may have noticed a setting called HDR (high dynamic range) on your iPhone camera — and using it can actually help you take better food photos. HDR takes three photos and combines the best parts of each one — exposing three different parts of each photo. If you're shooting in direct sunlight, HDR can help combat the harsh shadows. Learn how to turn on the setting here. 4. Bounce light onto your food by using a white napkin or piece of paper. If you're taking a photo next to a window, hold something white (like a piece of paper or napkin) against the non-window side of the plate. 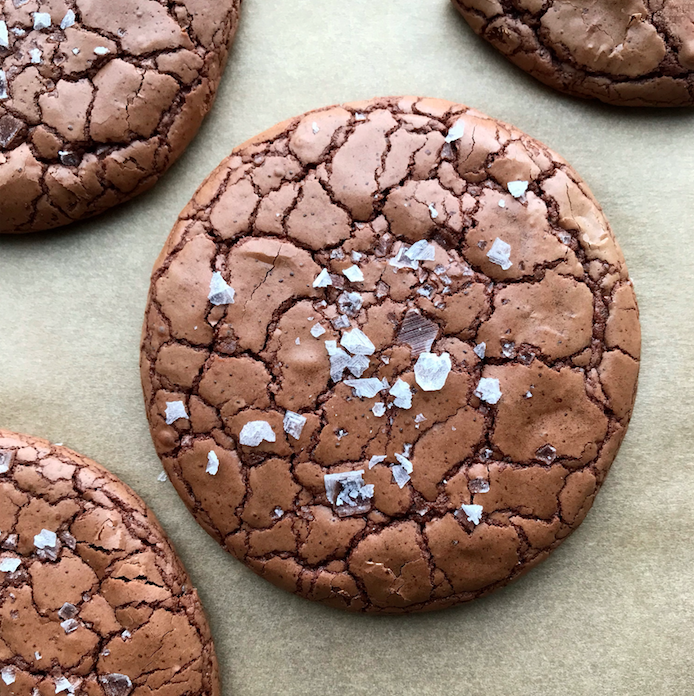 This will bounce some of the window light onto the shadowy side of your food — showing more details in the part that's often too dark. Learn more about bouncing light here. 5. Manually adjust the exposure while shooting. Most iPhones let you manually adjust the exposure while shooting. 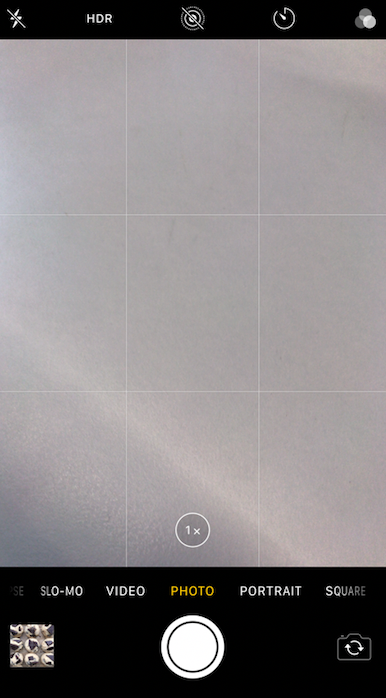 To do this, tap and swipe up or down while taking a photo to open the exposure settings. This basically just adjusts how light or dark your photo is, so it can help when shooting in super sunny or dark locations. See how to do it here. 6. Don't use the zoom. If you want to get closer to your food, just move the camera closer. Using the zoom lowers the quality of your photos and will make your food look crappy. 8. If you're shooting in the dark, use your friends phone as a spotlight instead of turning on your flash. Whenever I'm in doubt, I shoot from above. 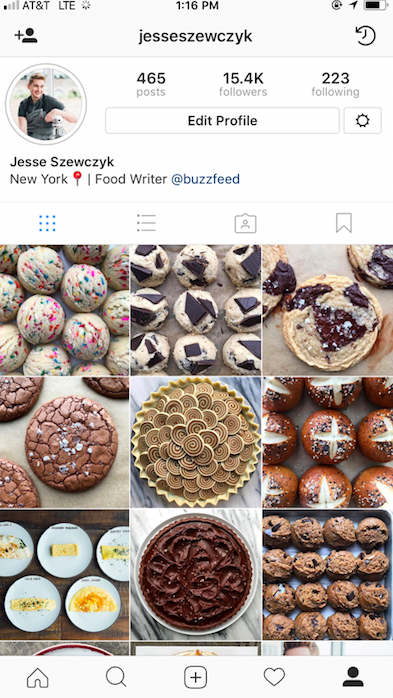 Sure, it's not the most creative or interesting angle to shoot from, but almost every food looks great from this angle. The key here is to hold your phone as level as possible to whatever you're shooting. If it's slightly angled, your photo won't have that clean, birds eye style. 10. And enable your photo grid to help make sure you're completely level. 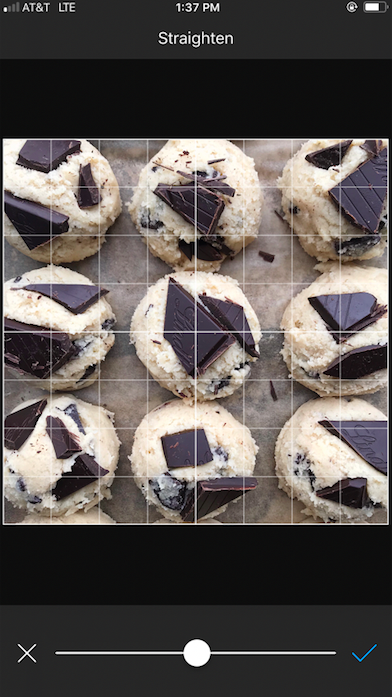 This is especially helpful when shooting a top down photo of something that's perfectly lined up (like cookie dough balls). During shooting, the lines will appear to help guide you but they won't show up in the actual photo. 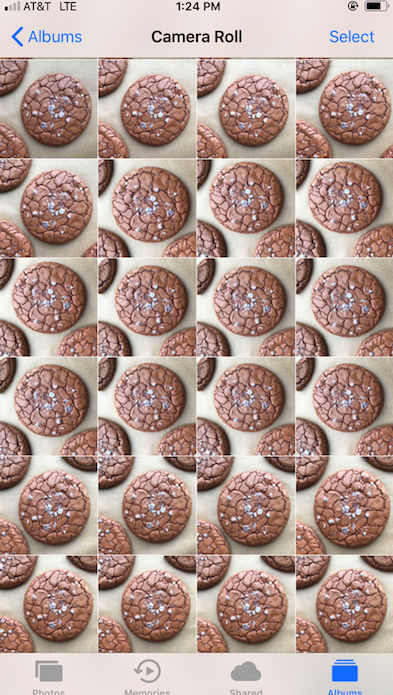 To enable your grid, go to settings > photo and camera > then switch the grid setting on. Learn more about it here. 11. Hold your phone as still as possible. Shaking or moving while taking a photo can lead to blurry photos. To check if a photo is focused, zoom into the food on your phone and see if it's sharp. It's sometimes not easy to tell if your photo is actually in focus, so zooming in will help you choose the right one. 12. Don't use filters — instead, just make minor edits manually. Filters are good for some things, but they're not always the best for food. You can't control individual aspects of editing, so some settings might be bumped up too high while others are too low. Instead, download a good editing app and make minor adjustments yourself. I use a combination of Aviary and Snapseed for my photos — using Aviary for fine tuning and Snapseed for removing things in the background or healing minor aspects of it.